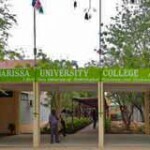 NAIROBI, Kenya – Islamic extremists from Somalia-based Al Shabaab today targeted Christians in an attack on Garissa University College in northeastern Kenya, killing at least 147 people, including two policemen. An area church leader who visited some of the more than 79 wounded people in a hospital told Morning Star News that patients said members of the Islamic extremist rebel group went through dormitories asking if students were Christians or Muslims. The pastor said one of the wounded Christians said the attackers cut off the head of one of his colleagues. The attack began between 5 and at 5:30 a.m.
Students remained quiet in hopes of avoiding execution. “I only heard gunshots with no screaming,” the student told the pastor. The church leader said that after talking with the wounded patients at the hospital, he was convinced that Christians were targeted. “It was a selective kind of attack, as many Muslims went unhurt,” he said. 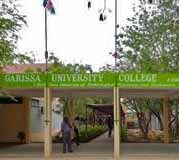 The Associated Press reported that a student who escaped, Collins Wetangula, locked himself and three roommates in their dormitory room. He said that he heard the gunmen opening doors, asking if those inside were Muslims or Christians and shooting the Christians. Rebel militants from Somalia held hostages until security forces killed four Al Shabaab members, Kenya’s Interior Ministry announced on Thursday evening. It was not clear how many gunmen initially attacked. Officials said 500 students had been rescued at the 815-student campus. Garissa is about 90 miles from the border with Somalia. CNN quoted campus witness Joel Ayora as saying the Islamic extremists stormed into a Christian worship service. They took hostages and then went to the dormitories, shooting “anybody they came across except their fellows, the Muslims,” he told CNN. Al Shabaab militiamen or their Somali sympathizers have carried out several attacks on Kenyan soil the past two years, usually separating out Christians and executing them, in retaliation for Kenya’s military involvement in the Somali government’s fight against the insurgents. Al Shabaab took responsibility for killing four Christians on March 17 in Wajir, and another on March 15 in Mandera, in northeastern Kenya. Thursday’s attack appears to have caused greater loss of life than Al Shabaab’s assault on the Westgate Shoppiing Mall on Sept. 21, 2013, which killed at least 67 people with dozens still unaccounted for. The assailants killed those they could identify as non-Muslims. In 2011 Kenya joined African Union forces battling the Al Shabaab insurgents after a series of Somali attacks on tourists and other targets in northern Kenya, and since then Al Shabaab has carried out several retaliatory attacks on Kenyan soil. The population of Kenya is 83 percent Christian, though only 7 percent are active in churches, according to Operation World. Only about 8 percent of Kenya’s population is Muslim. For how long al-shabab keep on disturbing kenya as there is no authorities in kenya why? it is very painful to loose the life of the innocent student who are going to be the future leader in the country, please let the government be serious to save the life of it citizen than keep on being relaxatance and the country loosing blood sheed at any time, am really very shocked for that rumours may god raise their souls in enternal peace amen.